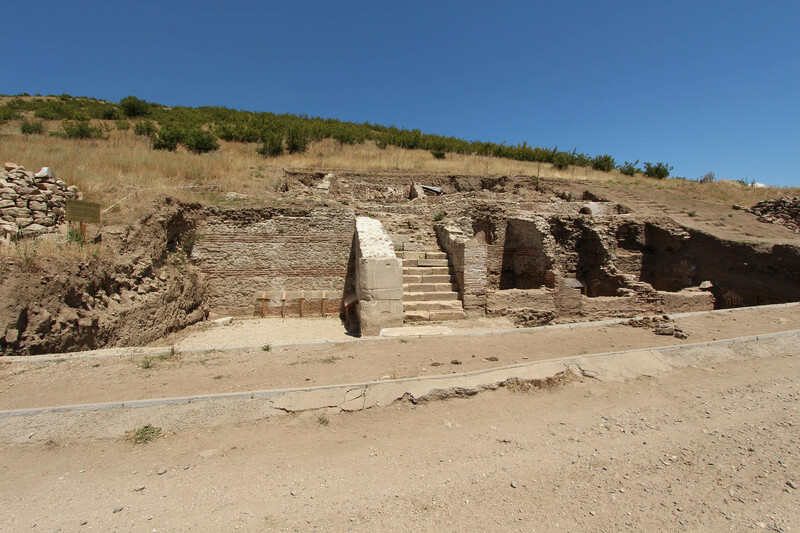 The ancient city of Heraclea Sintica located near the town of Petrich in Southwest Bulgaria has seen its number of visitors double in the recent year. In 2014, the Ancient Thracian, Greek, and Roman city of Heraclea Sintica was visited by 20 000 tourists, which is twice more than the number of visitors it got in 2013, Sotir Ivanov, director of the Petrich Museum of History, has announced, as cited by the Bulgarian daily Standart. Ivanov sees a number of factors contributing to the boom of tourists coming to Heraclea Sintica, including the fact that the ancient archaeological site is situated near Rupite, which is famous as the hometown of Bulgarian clairvoyant Baba Vanga (Vangeliya Gushterova) (1911-1996). “We launched a website [last year] to promote Heraclea Sintica where visitors can submit the time of their visit so that we can provide a guide to meet them. The ancient city is just 1 km away from Vanga’s church, and many people visiting this temple also come here. We also placed information billboards in Bulgarian and English. The main road to Greece is nearby, and the Struma Highway is under construction,” elaborates the director of the Petrich Museum of History. He points out that many people are impressed by the photos of Heraclea Sintica they see online, and decide to visit it. “We see the number of visitors growing constantly. This is emerging as a very popular [archaeological] site. Our goal is to turn it into an open-air museum. The most important thing is that we are seeing growing interest in cultural and historical tourism in the region,” Ivanov says. He also mentions that the installation of surveillance cameras in the ancient city of Heraclea Sintica by the Petrich Museum of History earlier in January has had an effect by keeping treasure hunters and illegal antique traffickers at bay. “We have seen almost no treasure hunters around the ancient city recently. That’s because there are tourists all the time. We have also installed security cameras,” Ivanov adds. Bulgaria’s Struma Highway, currently under construction, is going to connect the Bulgarian capital Sofia to the border with Greece in Southwest Bulgaria. It runs through the picturesque Kresna Gorge along the Struma River. The Sofia-Thessaloniki railway line and the E-79 road also run through the Kresna Gorge, the route being the busiest one between Bulgaria and Greece, and part of the Pan-European Transport Corridor No. 4. During the recent construction of the Struma Highway Bulgarian archaeologists have conducted rescue excavations uncovering a number of exciting archaeological sites from different time periods.